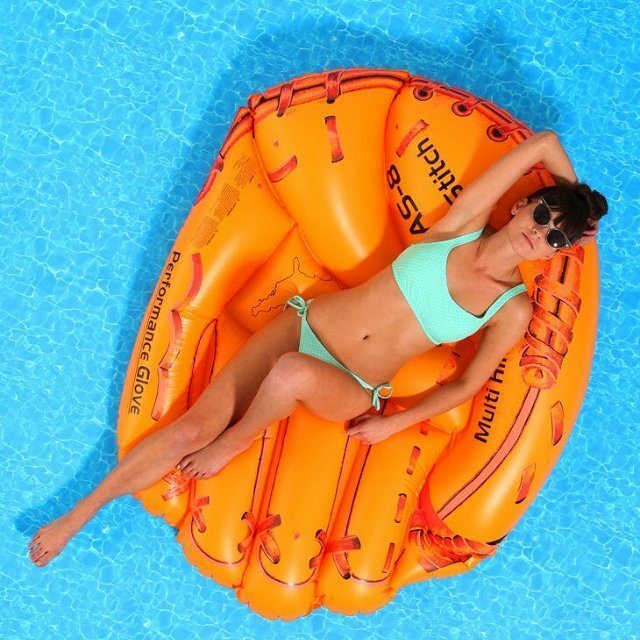 Your everyday poolside float is now going to be a time to celebrate baseball as you lie on this inflatable Baseball Glove Float. It is a jumbo sized relaxable float that’s drawn its inspiration directly from a baseball glove. In order to help you with absolute comfort, it has also got four separate air chambers. Meant for both kids and adults, this float is going to make you look like a baseball superstar everytime you rest by the poolside. This time you become the ball for this wonderfully gigantic baseball glove. Resting by the poolside with such a class enhancing your state of comfortability is rarely something you’d want to miss!